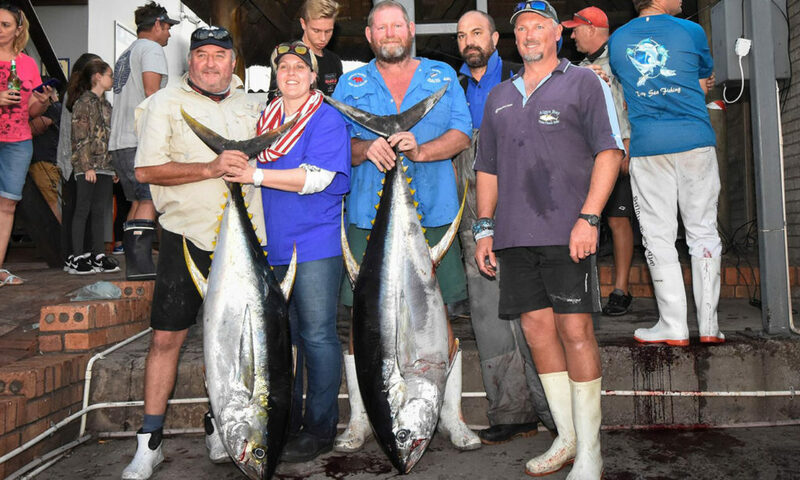 The tuna are back in Port Elizabeth. From the start of April, members of PE club PEDSAC have reported tuna running off the PE coast. 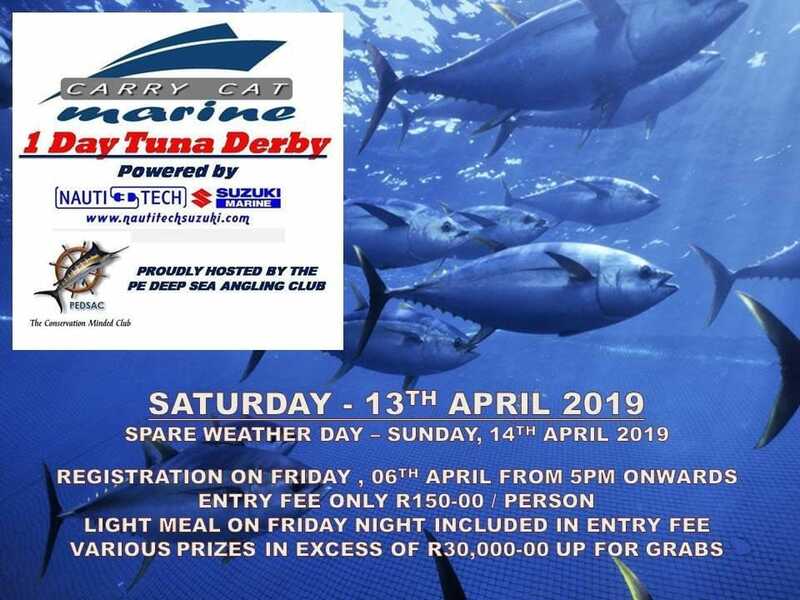 Which is perfect for the upcoming CarryCat Marine 1 Day Tuna Derby happening at PEDSAC on Saturday 13 April 2019. You can still register up until 12 April. The official registration for the 1 Day Tuna Derby is between 17:00 and 19:00 at PEDSAC in PE. And it’s only R150 per angler, which is super easy. You’ll have to sign indemnity forms, so, if you want to get a head start, download all the registration docs here. 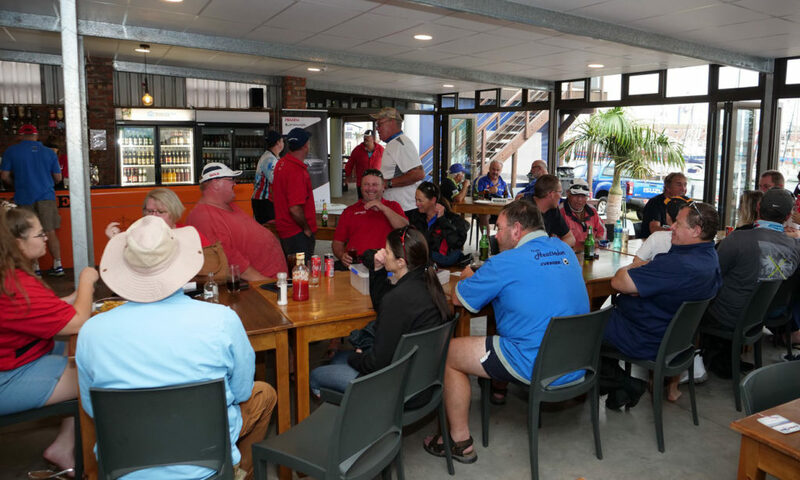 There’s a skipper’s briefing at the PEDSAC clubhouse at 19:00 sharp on Friday 12 April 2019. And you have to be there to take part in the competition. Of course it’s serious stuff – you’ll be given all the rules and regulations here – but it’s also casual, so come and meet your fellow competitors. The tuna have started coming in in PE. And so far the weather looks spectacular for fishing day Saturday 13 April 2019 (although there’s a back up in Sunday 14 April, just in case the weather turns). 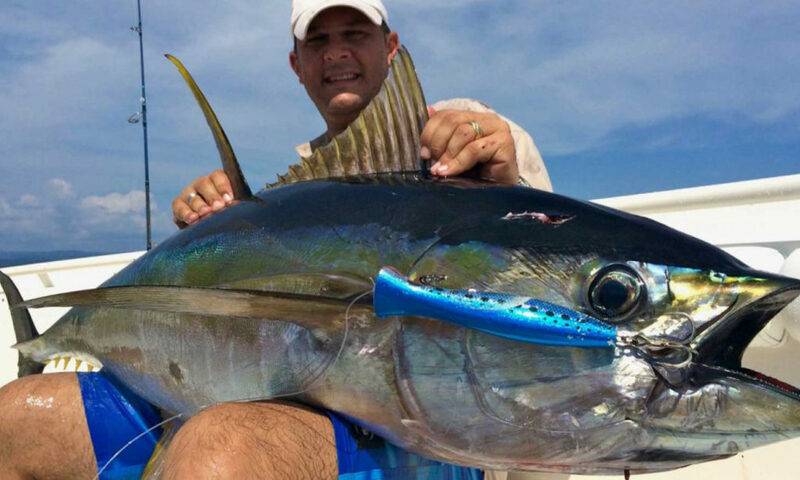 So you’ll want a really good boat for the 1 Day Tuna Derby. 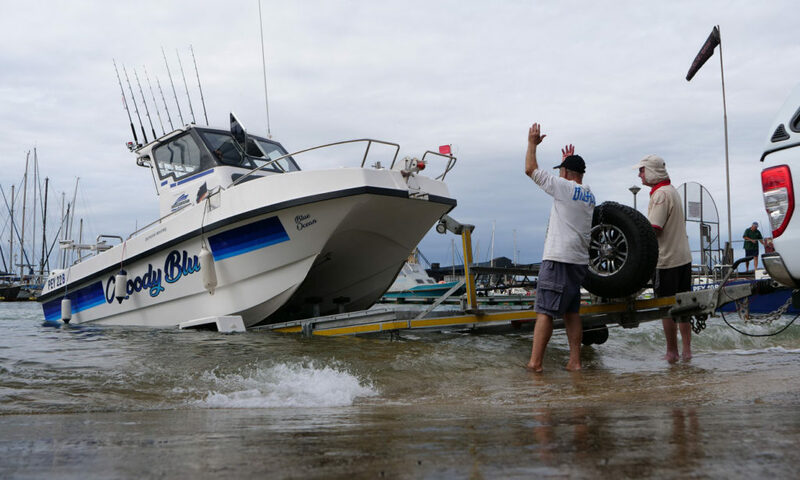 And, while some guys will already have their boats and themselves organised in teams, know that even if you’re from out of town, you can just contact PEDSAC and they’ll help secure you a boat from local PE boat owners (phone 041 582 2701). But, since CarryCat is sponsoring the event, maybe they know something we don’t. Maybe a CarryCat gives you some kind of advantage or edge in fishing competitions? They’re supposed to be quite a good boat choice – just ask Cliffie Donaldson, he knows. Those are the only species that’ll get you points in this competition. 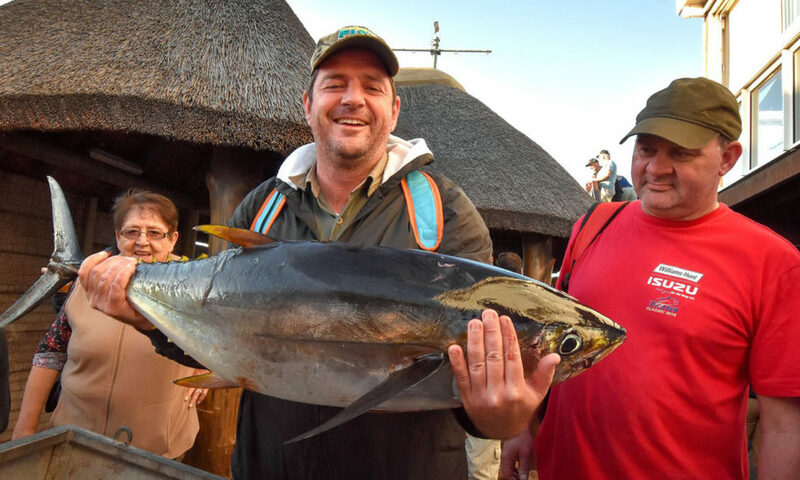 Yellowfin tuna have already been picked up off the coast of PE. And their cousins the big eye tuna love the cold so you know they’re not far behind. 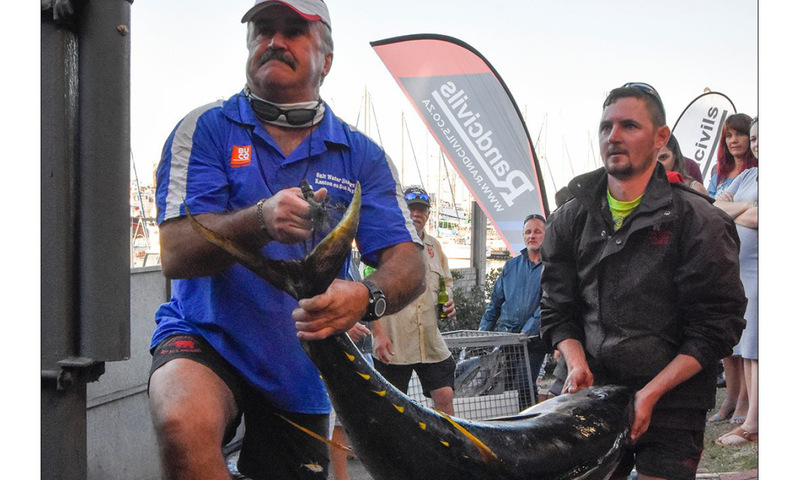 Here’s the thing, though, your catch has to be over 15kg to qualify – for both species. So go big. Weigh in is strictly between 15:00 and 17:00 on fishing day (13 April or 14 April, weather dependant). The adjudicating committee have the power to change or extend these times, but that will be very clearly communicated to everybody, if it happens. Here’s where all the prizes will be handed out at the PEDSAC clubhouse at 18:00 on Saturday 13 April 2019. Except if there’s bad weather and the fishing only takes place on Sunday, then the prizes will be given at 17:30 on Sunday 14 April. And of course you want to be there, not only to collect potential prizes but also to mingle and share stories of the day’s fishing with friends. Legend has it that it’s more fun fishing in a CarryCat. So tell your friends who might not know yet to check out the little-big CarryCat 670, the next-level CarryCat 740 and the all-round great fisher CarryCat 760. 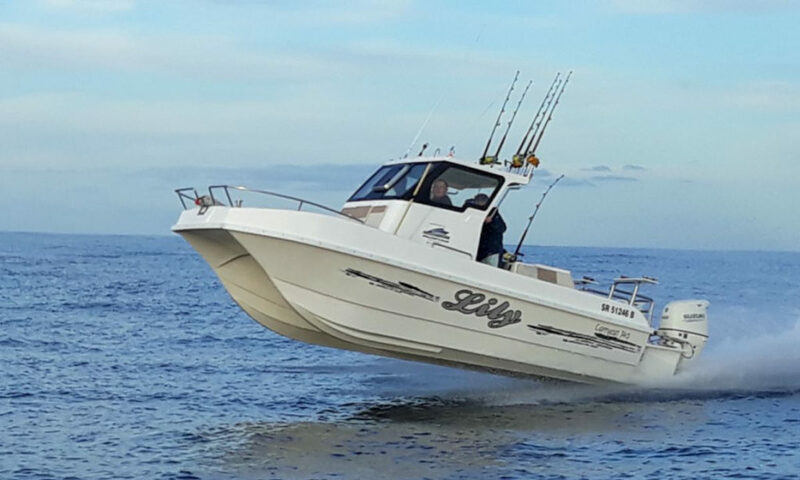 Discover more specs, options and configurations for bass boats, riverboats and ski boats under our section on new boats in South Africa. Legend also has it that CarryCats and every other boat runs better under Suzuki power. 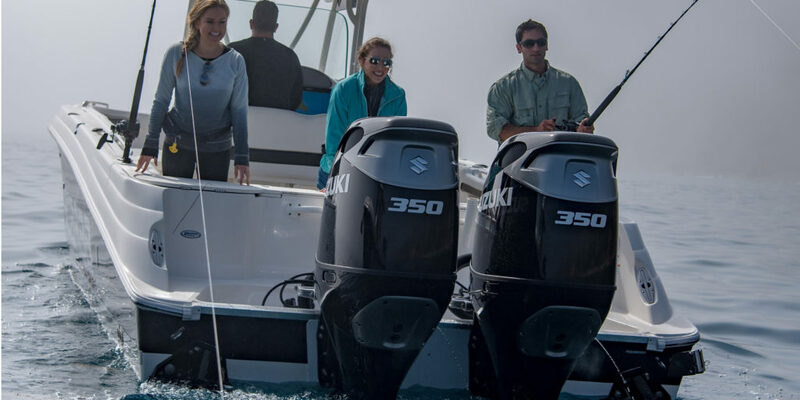 Discover it for yourself among these Suzuki outboard motors. Need to refurbish, refit and revive your boat? Take a peek inside our award-winning Suzuki workshop.